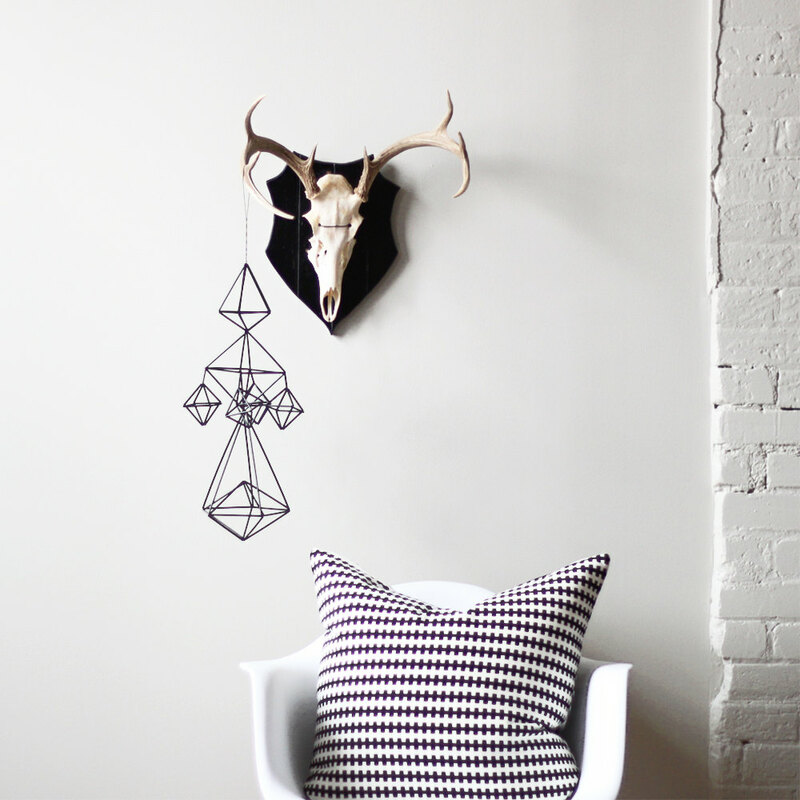 Everyone’s favorite geometric shape sometimes gets forgotten when decorating a home. It’s simply easier to be symmetrical with squares. Art usually comes in rectangular frames, sometimes even in rhombus shapes. Ottomans and nightstands come in ovals. But a triangular sofa? An isosceles painting? A scalene chandelier? The triangle has been left behind! Reclaimed barnwood, geometric wall mirrors by WeAreMFEO via Etsy. 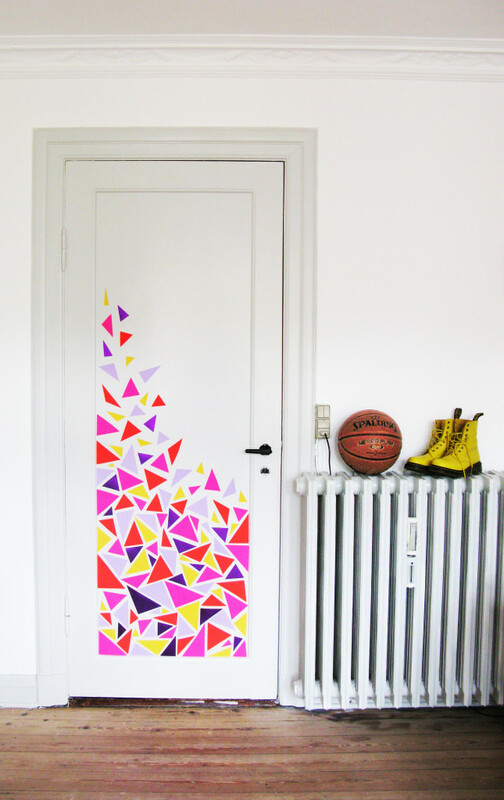 Triangular wall decals and decor for the door mimic stained glass breaking. Uploaded to Pinterest by Danish student of architecture Anne-Sophie Velling Jespersen. 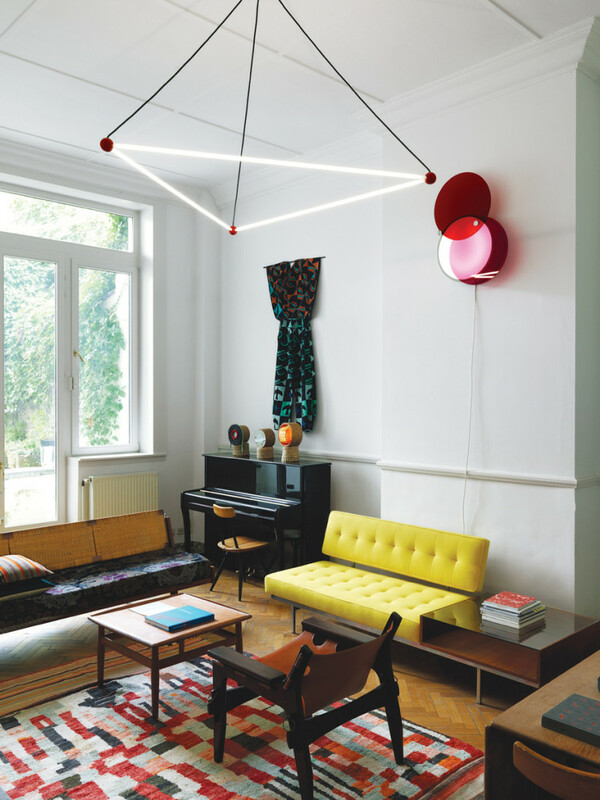 Situated in Brussels, this open estate rotates its artwork and furnishings several times a year. As featured in Dwell by Jaime Gillin. 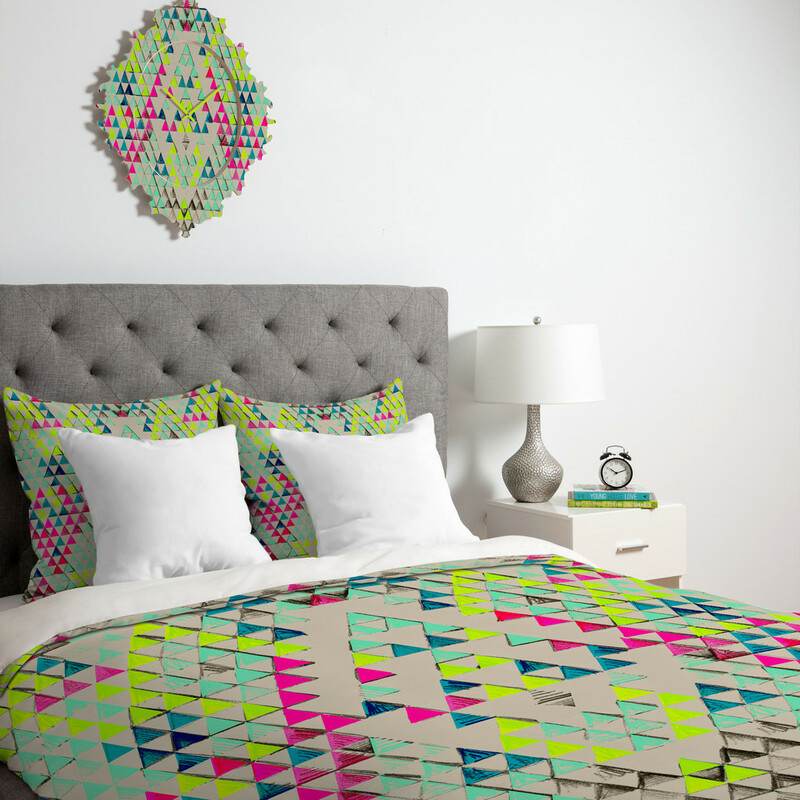 The Triangle Summer Duvet Cover By Pattern State. Turn your basic, boring down comforter into the super stylish focal point of your bedroom. Offered in two different styles, you just can’t go wrong with a duvet from DENY Designs. The Himmeli no. 9, a modern hanging mobile and minimalist geometric sculpture by HRUSKAA via Etsy. 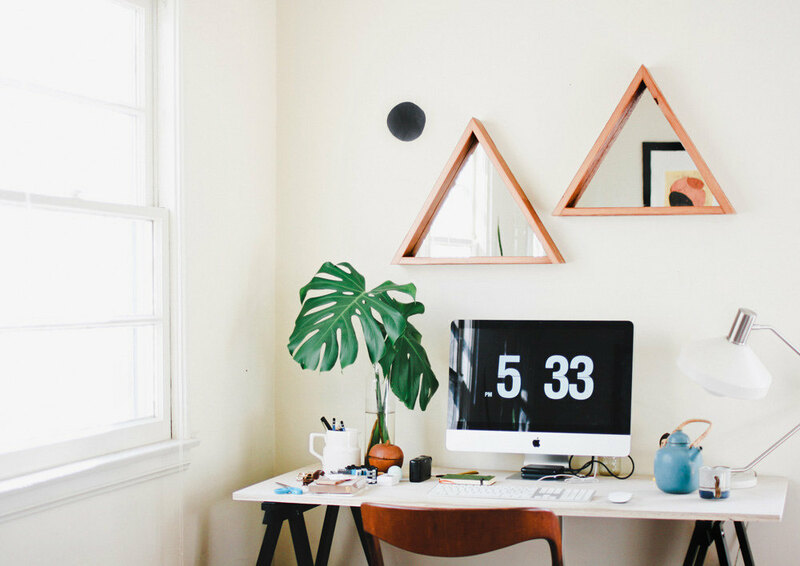 Make room on your couch for an equilateral triangle! Who doesn’t want a piece of this geometry pie? 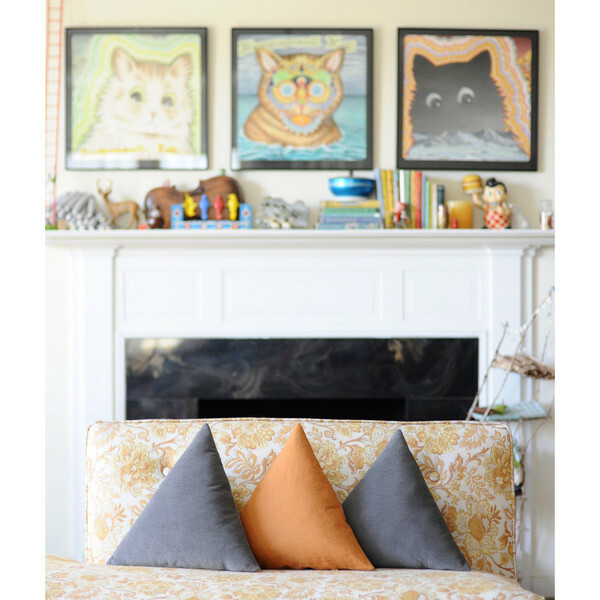 Corduroy pillows from Imaginary Animals. 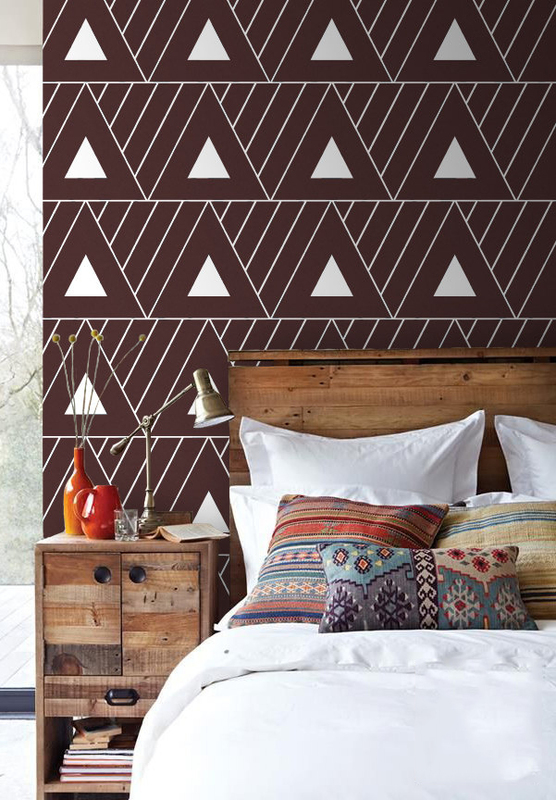 A retro feeling triangle pattern, reminiscent of sixties Marimekko, in a self adhesive DIY wallpaper. Just “Peel n’ Stick” and change your bedroom via ArtBoardI on Etsy.